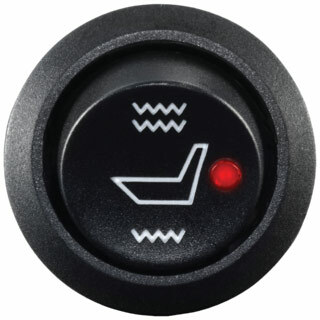 Heated seats are one of Auto & Truck Accessories most popular items for a reason - it gets cold in Warren, MI! The cold weather's no match for us, though. Auto & Truck Accessories is ready to make you forget about the cold as soon as you enter your vehicle. Your truck’s built-in climate control options just don’t compare to having a heat source directly underneath you and in contact with your body. Combined with one of our remote start packages, Auto & Truck Accessories can even make it so that your heated seat is ready for you the moment you get in your car, so you don’t need to sit down on an ice-cold seat. 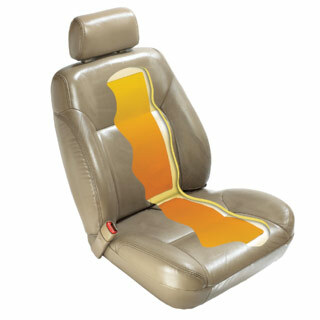 Seat warmers are one of our biggest sellers. People love heated seats. They’re no gimmick. We’re all about functional accessories here at Auto & Truck Accessories, and people keep coming back for that reason. Once you’ve got a good seat warmer in your vehicle, we’re sure you’ll want seat warmers installed in your other vehicles, too. Let Auto & Truck Accessories make your life more comfortable today, and consider a remote start package with a seat warmer. We’ll walk you through all the options available for your vehicle, and show you how you can have a heated seat ready for you when the weather turns cold. For the price, heated seats are one of the most appreciable accessories you can put in your vehicle. Stop by Auto & Truck Accessories, and we’ll give you all the details you need to know. If you’d like, you can contact us with any questions. Our shop can be found at 8154 E. 14 Mile Road, Warren, MI. Auto & Truck Accessories will get your heated seat installed right away, and you’ll drive off in comfort. Seat heater systems can be installed in most vehicles to add warmth to either cloth or leather seats. The heated seats do not change the look of the seat and include everything you need to add warmth to the bottom and back of your seat. The stylish switch offers you high, low and off controls.